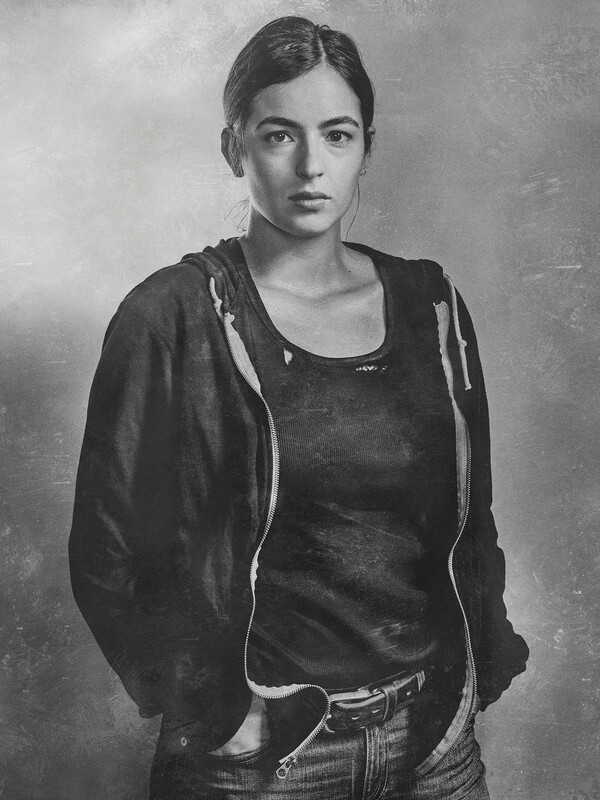 Season 6 Character Portrait ~ Tara Chambler. . HD Wallpaper and background images in the Os Mortos-Vivos club tagged: photo the walking dead season 6 character portrait tara chambler. This Os Mortos-Vivos photo might contain outerwear, overclothes, vestuário exterior, roupas normais, bem vestido pessoa, terno, calças de terno, terninho, pessoa bem vestida, terno das calças, pantsuit, terno de calça, jaqueta, casaco de bombardeiro, and jaqueta bomber. I scanned through these as thumbnails and thought this was Rosita. You can not imagine the rage I was about to unleash over Father Dickbag getting a promo and not Tara. =P Get with the program, eyes!